It's very important to have health insurance and if you're on an international scheme, then have the documents on the ready to give proof. If you don't have healthcare insurance, be prepared to pay a pretty penny when sorting health bills! 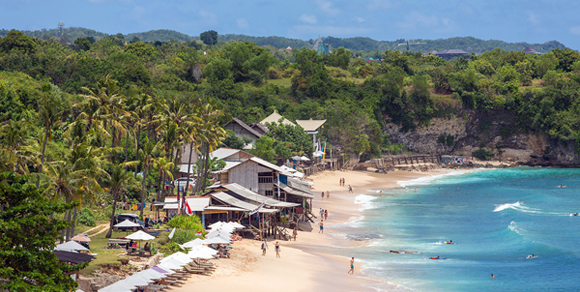 There are many clinics and hospitals [in Bali] that are privately owned, but the ones in rural areas are staffed by people who speak little English. The most most popular hospital is BIMC in Nusa Dua which offers superb healthcare. Expats living in Indonesia interested in expat health insurance should take a minute to get a quote from our trusted expat health insurance partner, CIGNA. One can get the right healthcare needed in any area you are in, but not all have the same superior quality like at BIMC. An efficient ambulance service is available at BIMC. Taxis run 24/7 and they are another option to use when in an emergency. It is so important to have health insurance as costs can be hefty if one is hospitalized for serious issues. Most drugs are easily available at pharmacies that are dotted everywhere. Most antibiotics can be bought over the counter, at a cost much less than in Europe. My kids and I all had dengue fever at the same time and were taken very well care of at BIMC, Nusa Dua. I am so pleased we had health insurance because the hospital bill would have cost us a hefty US $2100!